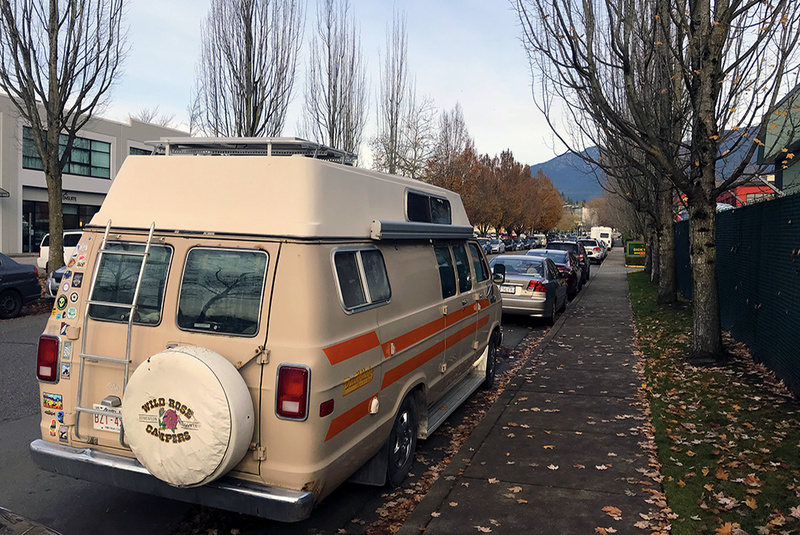 Not sure how this area became established as an RV friendly zone, but many of the streets in the industrial park surrounding Walmart in Capilano Mall are littered with RVs and campers of all varieties. This is hardly an upgrade from staying in a Walmart parking lot, but at least you won’t have anyone parked beside you. We chose to park on Hanes Ave beside a lumber yard on a Monday night and it was undeniably noisy with road noise and an odd influx of sirens. 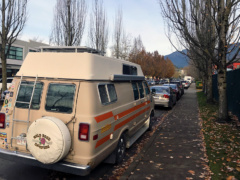 Perhaps this area just speaks to how unreachably expensive housing is in Vancouver since many of the RVs around have definitely seen better days. In any case, if you just need a quick overnight that’s walking distance to tons of stores and food places, then this spot will do the trick. Wouldn’t stay here for more than one night but it’s evident that many people do.